…and Dave McIntyre recommending it in The Washington Post as a [summer] sipping wine – Secateurs definitely has its glass half full right now. For up to date posts about all the media we spot ourselves in, keep an eye on our Facebook Page and remember to follow us on Instagram for pretty pictures from the farm and beyond. 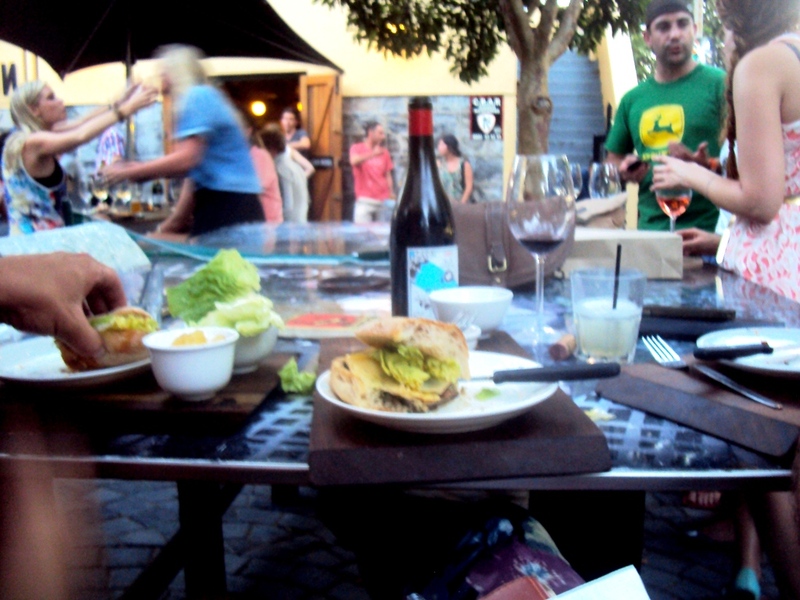 Last night was the first Adi and Jasper show (as Justin called it) of 2013 – the WineGems tasting at &union. 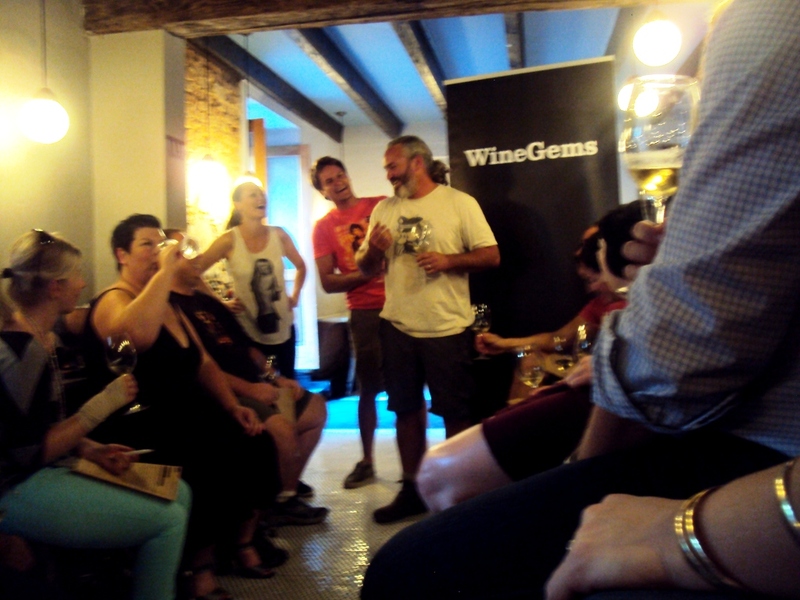 A full house (Gemma says she takes 18 bookings, but there were at least 30 people squeezed into the bar) tasted both the Secateurs, the Family Red and White blend, the funky white and were also treated to (another) sneak peak of Jasper’s first offering – a red blend and a chenin blanc. From what I see on twitter the crowd really enjoyed it. With Adi on top form – full of jokes and stories – and Jasper taking his time to tell the Muskeljaatkat story in detail – there were lots of laughs. Batonage: Awesome evening of wine tasting. 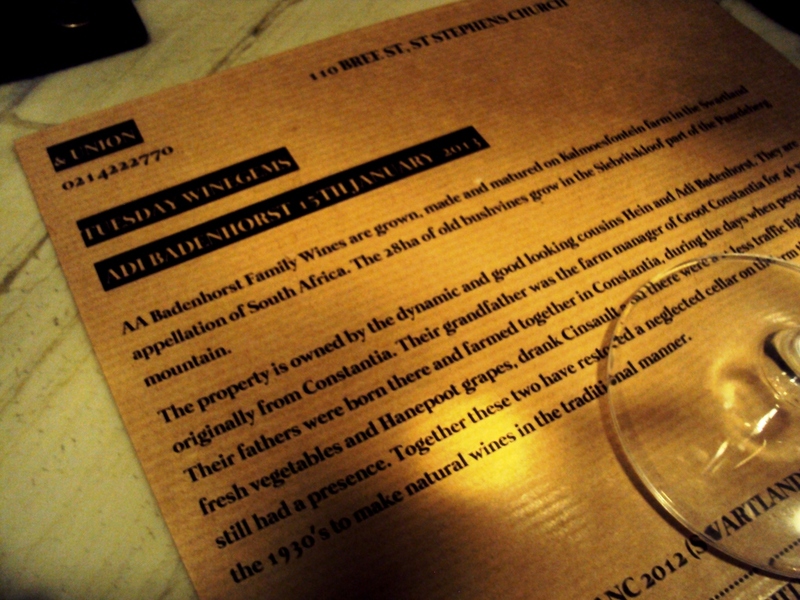 @AABadenhorst wines and some Muskeljaatkat white and red @andUnionwine. Adi most amusing winemaker in SA. 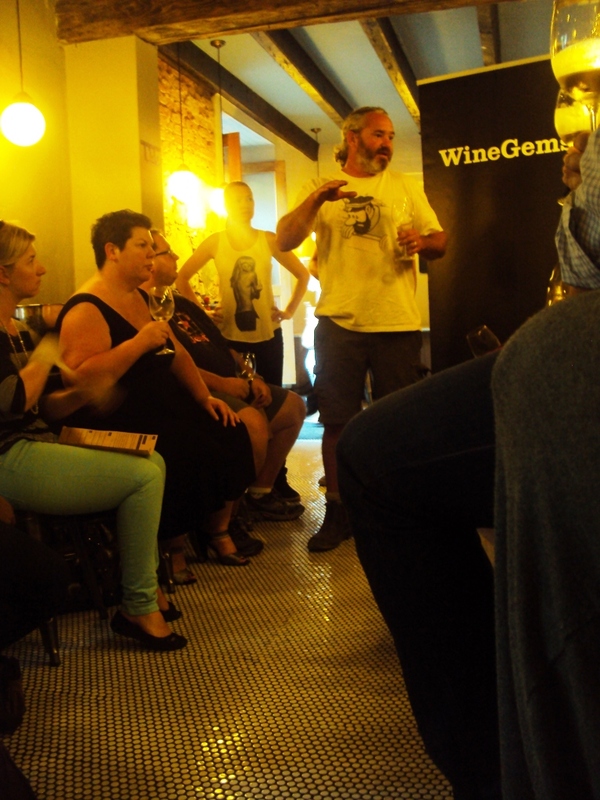 JustLisa_Love: @AABadenhorst @andUnionwine – awesome left field tasting for our first#WineGems of 2013 – loved it! I tried to tweet some of the Adinisms and quotes from the ‘comedy show’ – check out our twitter stream if you want to see more. AABadenhorst: We work on psychological ripeness. You don’t wanna pick on a Friday for instance. – Adi, duh. I also have dates for two tasting brunches, but I have a long waiting list to inform of that first. 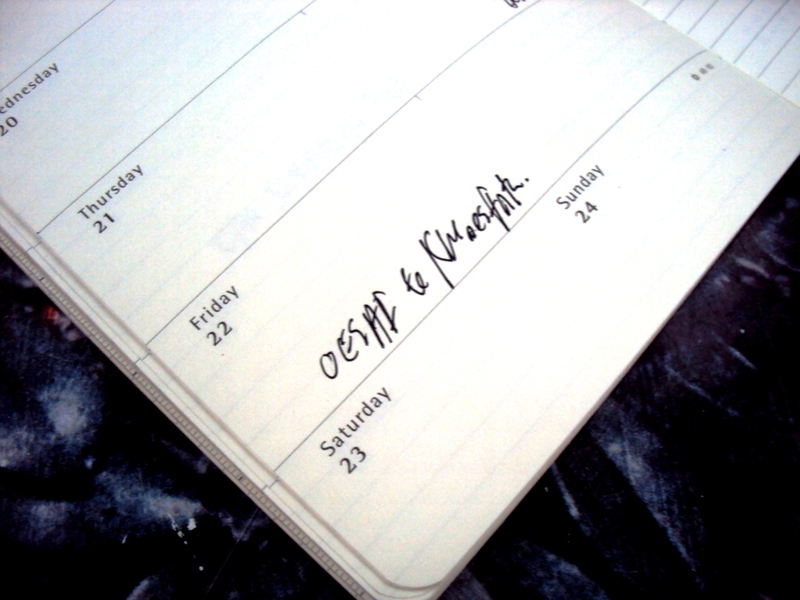 But watch this space for more details soon. We are a social family and as wine producers, naturally we have a social product… so why not join social media..! ?